The solution simplifies the bundle creation process for admins and bundle adding to a cart for customers. Customers can add bundles to the cart with one click. 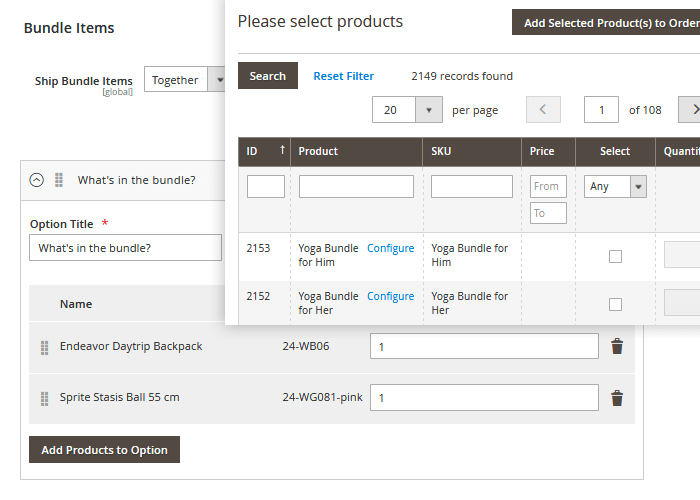 The Magento 2 Simple Bundle Product extension adds a simple interface to the native Magento bundle functionality, both in the backend and frontend. The core logic was left untouched: this is the same old good bundle but with fewer options. Want to sell bundles, but the native ones look too flexible and complicated? Our Simple Bundle Product extension for Magento 2 is a good solution for you! By switching to the simple bundle mode, you can create your bundles four times quicker than before. Only the necessary configuration options will be displayed. When creating new orders from the backend, you can easily add bundles to them. No additional setting is required. With Magento 2 Simple Bundle Product, the bundle purchasing process is simplified to the fullest. Bundle items are now presented in the form of a list. And customers do not have to customize them! By the way, the module is completely compatible with the native solution so you can use simple bundles along with the flexible ones. With the customization step eliminated, all shoppers need to do is to add the product to the cart. That’s it! Bundle item lists with links. 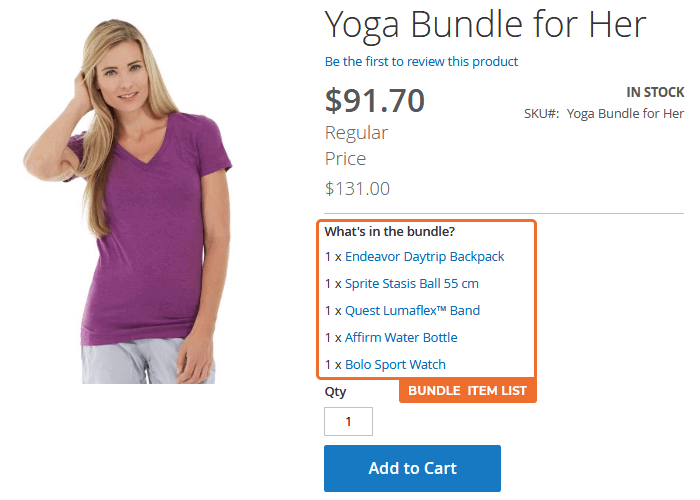 How does the Magento 2 Simple Bundle Product extension beat the competition?